Monte Carlo 6 is the last of the premium line created by Beneteau in 2013 and, since she was launched a few months ago, she has won over the most demanding boaters worldwide. Elected boat of the year in the ‘Flybridge up to 60ft’ category at the ‘Motor Boat Awards’ organized in London last January, the MC6 has carved itself a niche due to its style, services and top quality build. There is no doubt – she has all the qualities of a yacht. 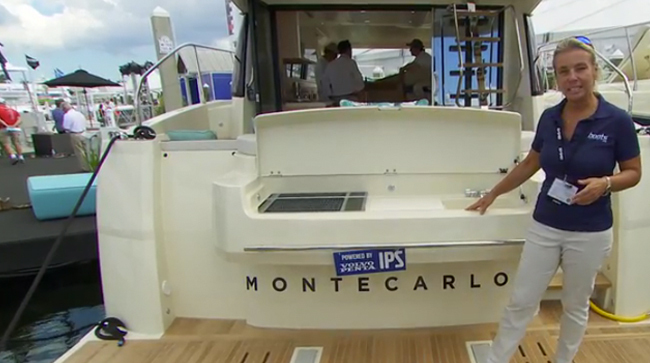 You are captivated by the amazing and inspiring harmony as you enter the Monte Carlo 6. This derives from the luxury world of the Monte Carlo Yachts brand. Her living spaces are incredibly generous, her layout combines communication and intimacy, her materials and trims are noble, all making your lifestyle on board exceptionalfor this size of boat. The Monte Carlo 6 is the last of the premium line created by Beneteau in 2013 and, since she was launched a few months ago, she has won over the most demanding boaters worldwide. 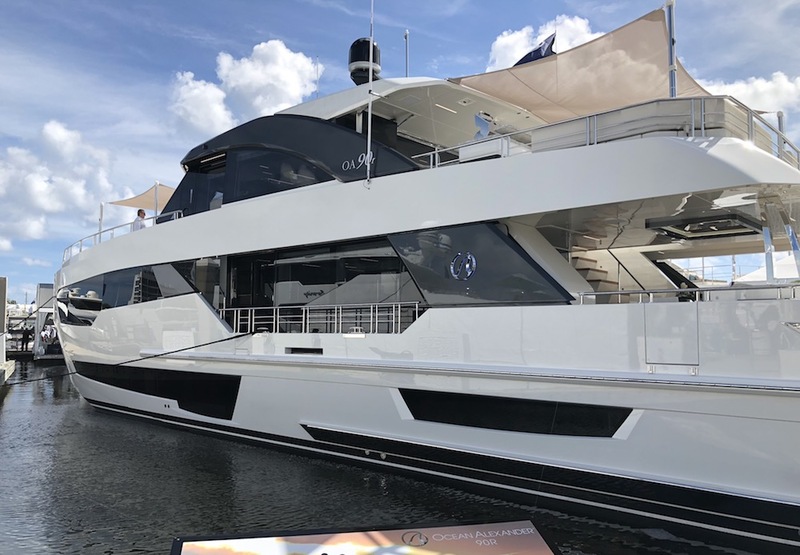 Elected boat of the year in the ‘Flybridge up to 60ft’ category at the ‘Motor Boat Awards’ organized in London last January, the MC6 has carved itself a niche due to its style, services and top quality build. There is no doubt – she has all the qualities of a yacht. Recognized as one of the most spacious in her category, the flybridge of the Monte Carlo 6 is designed like a huge terrace. Accessed by a stairway starboard of the cockpit, its large lounge can hold up to ten people. Large sunbathing areas, comfortable seats to enjoy driving and excellent protection afforded by the T-top are all features that make this an ideal living space. 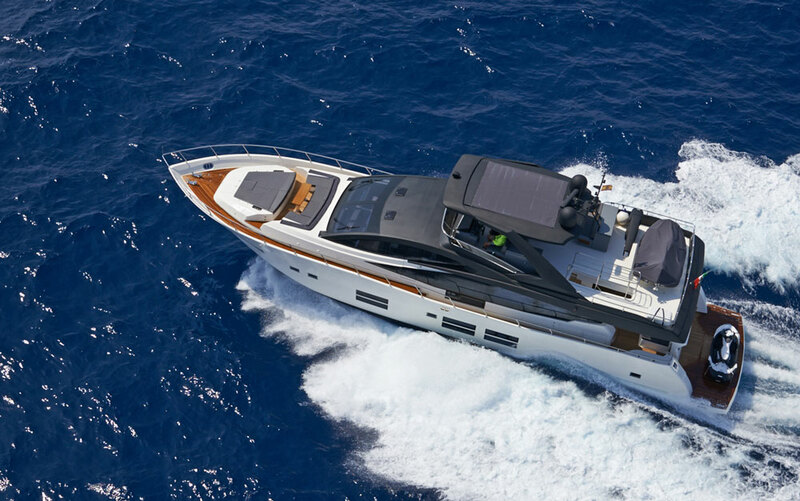 With two sun-loungers on the foredeck and an interior layout offering a choice of two or three good-sized cabins, plus a crew cabin, the Monte Carlo 6 is the height of luxury accommodation. The interior boasts an open design oozing with character, in which there is seamless communication between the galley located at the centre of the boat and the huge lounge and central driving station. Aft, the large owner suite with en-suite shower room affords great privacy. 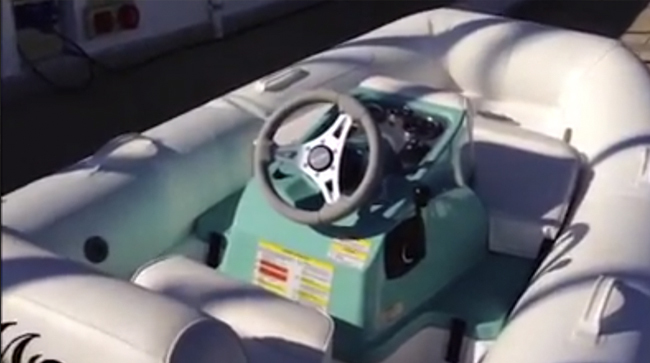 Underway, the MC6 equipped with two Cummins 600HP engines, reaches a top speed of 28 knots and has all the torque needed for dynamic acceleration. The Zeus pod system significantly improves the boat’s performance, while delivering a 30% fuel economy, 15% faster cruising speed and a top speed 15% higher in comparison to a traditional shaft line system. Designed by the talented Italian duo, Nuvolari-Lenard, the Monte Carlo range unites the traditional know-howof the Vendée workshops with intelligent engineering and modern industrial processes. Perfectly controlled by Beneteau boatyards, this combination of technology and tradition is echoed in the way the woodwork is handled. The interior cabinetwork is well-designed in brushed oak and the wood used for the exterior is teak, following yachting codes and traditions – Everything on board the MC6 is the paragon of precision and top quality finish. 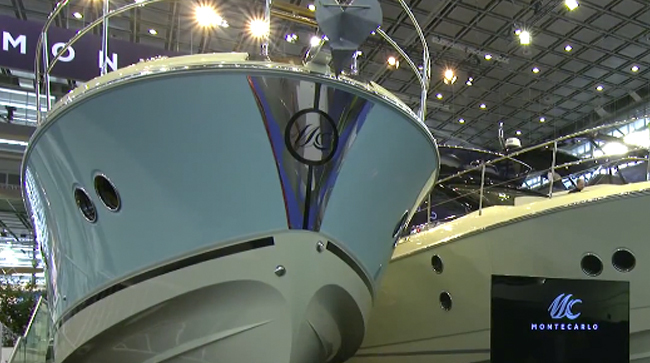 Planned for next September, the sport version of the Monte Carlo 6 will complete this Mediterranean-inspired line. With an opening hardtop, the MC6 S will boast an open-air lounge of staggering proportions.